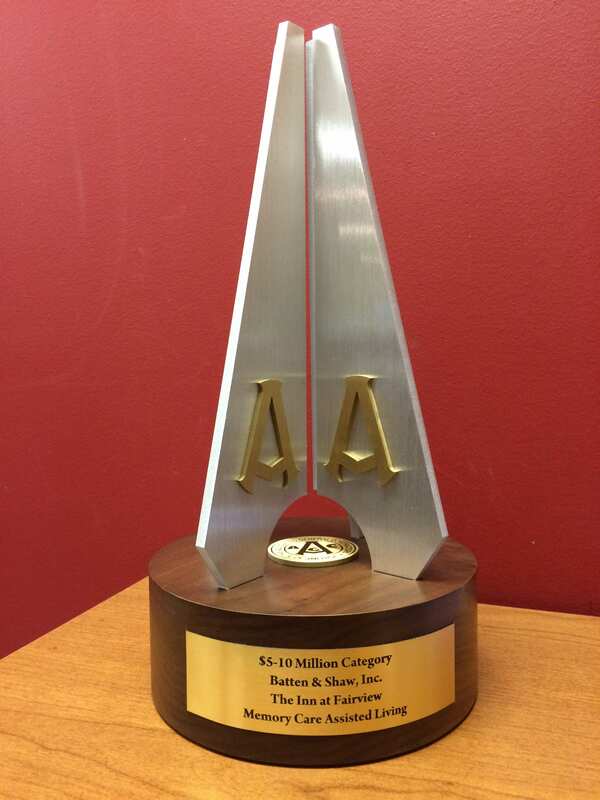 Batten | Shaw Construction received the 2016 AGC Build Tennessee Award for NHC Place Sumner in the New Construction over $20 million category. 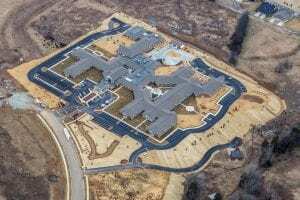 Construction of a new one and two story 92-bed health care center with attached assisted living resident units and ancillary service areas. The structural system was steel beams and columns. Exterior walls are non-bearing metal studs with gypsum sheathing, brick veneer and with calcium silicate masonry detail elements. Interior walls are metal studs/gypsum wallboard and concrete block. The roof structure is fire treated wood trusses with plywood sheathing and asphalt composition shingles. Interior floor finishes are carpet, vinyl composition tile, ceramic tile, quarry tile and sheet vinyl. Ceilings are gypsum wallboard and laying acoustical tile. There are custom mill work elements throughout the building that are stained/painted wood. A stand-alone one story Maintenance Building of similar construction was also constructed at rear of the site. New geothermal heating, ventilating and air conditioning system. New fire alarm, nurse call, lighting and emergency lighting systems and site lighting. Raceways/pathways for data, CATV and telephone systems. 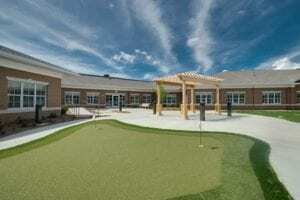 The physical size of the project was 120,000 square feet and took 15 months to complete. Batten | Shaw Construction utilized approximately 77 subcontractors for this project, which included over 57 Middle Tennessee trade contractors and suppliers. Twelve of the firms were based in Sumner County which is where NHC Place is located. Batten & Shaw was honored to have been chosen as the General Contractor NHC Place Sumner. Our dedication to quality on this project was second-to-none. The level of care and ownership of work shows in every detail of NHC Place Sumner both seen and unseen. Crown molding and architectural features highlight the beauty of this project. State-of-the-art geothermal heating system ensures an energy efficient facility. 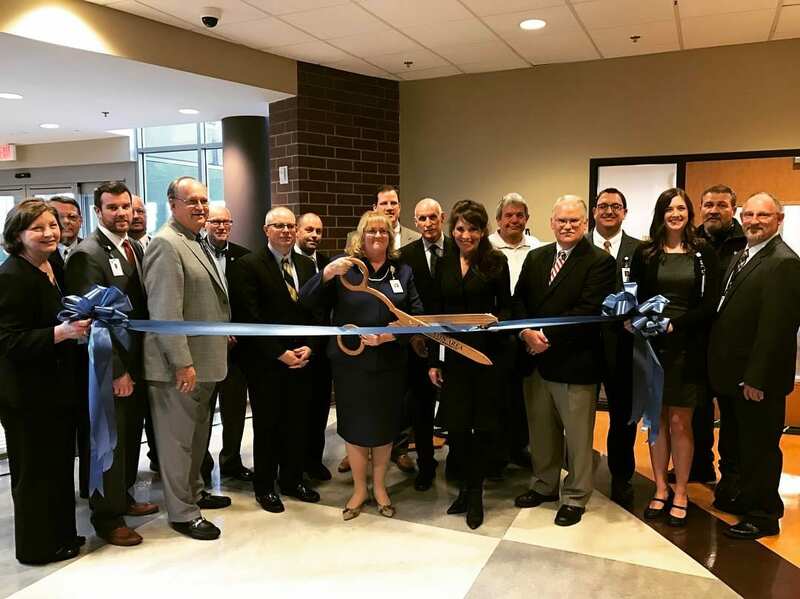 Batten & Shaw, Inc. is also privileged to call National Healthcare Corporation a repeat client as we are committed to excellence in building construction. Since our formation in 1988, Batten & Shaw has enjoyed the opportunity serve customers in Middle Tennessee and grow our project portfolio from the Atlantic to the Pacific. Our proven experience in commercial construction, our reputation for standout workmanship, and our commitment to providing clients with an enjoyable building experience has afforded us the opportunity to partner with companies that set a very high bar for the outcome of their projects. Batten & Shaw’s long standing reputation for excellence has been born out of our attention to detail, strong customer relationships, and unique ability to work in occupied facilities. Often these facilities are operating expensive equipment that must remain fully functional throughout the construction process. We provide a full-service construction offering for complex multi-phased projects, renovations and expansions and new from the ground-up construction. 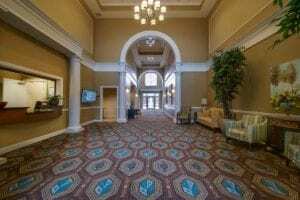 NHC Place, Sumner is an affiliate of National Healthcare Corporation, a leader in post-acute care and one of the oldest long term health care providers. NHC was founded by Dr. Carl E. Adams, a physician and lifelong resident of Middle Tennessee. Dr. Adams and Jennie Mae Adams, had a long-held dream of building a “campus concept” of life care facilities for older adults.